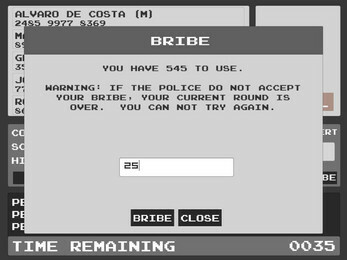 In the game you play as a company employee forced to hack into peoples' bank accounts and steal their money. You have limited time to look at biographical details of each person and decide who you wish to steal from. 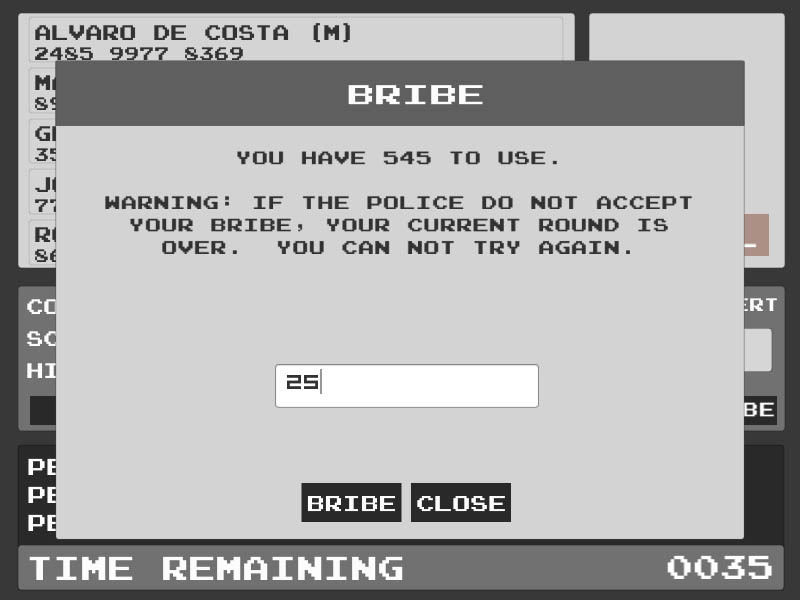 You must juggle the impending threat of the police, your boss' satisfaction and try and earn enough to be freed by hacking and bribing your way through. This is the first game I've done from start to finish that has been released. It started as a little side project while I was working on something else and it was mostly a learning experiment for myself but hopefully others enjoy it! Pay as much as you want (if at all) and you can come back later and pay if you do like it. Or don't pay. It's called Robbing HUD after all. You need to ensure you download the correct version for your machine. 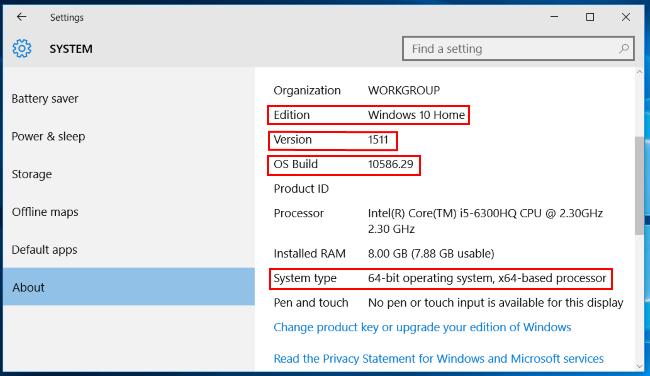 There are two versions available: 64-bit and 32-bit. If you're unsure which you have this guide should help you. what do I do at the start?